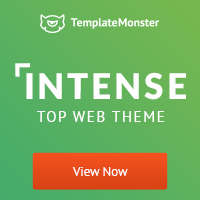 TemplateMonster - The name says it all! | merlin's "pubs"
Template Monster is a supermarket of templates and ready-made sites. Service has more than 40 thousand products and is significantly ahead of all competitors in this indicator. The choice of ready-made solutions for business and personal purposes is not limited. More than 26,000 different templates.